Immerse yourself in Colours’ multicoloured world. 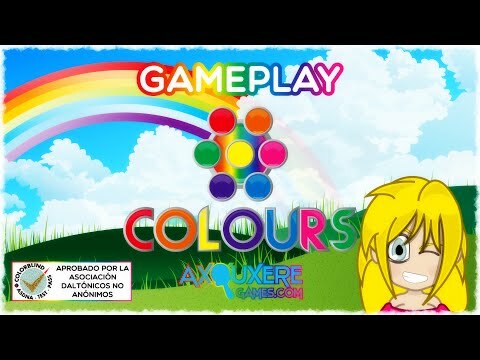 Help our main character, Ada, to combine the same colours in combos of two, three and four identical colours. Gather as many points as you can and do not forget the clock - time runs out. Make use of the items, they will give you time or score advantages, among others, but be careful! Some of them might be negative. - Point Accumulator: make as many colour combos as you can before time runs out. - Switch’em Off: don’t let all the bulbs light up or you will lose. Switch all the bulbs off by making colour combos. A multicoloured adventure that requires ability, speed and skill. Compete with your friends to achieve the highest score at the online ranking. It will be soon available in German and Japanese, too. Compatible with Facebook, Twitter and Google Play Services. It has a mode for colour-blind people, approved by the Non-Anonymous Colour-Blind People Association (ASDNA in Spanish). - Get as many points as you can before time runs out. - Make combos of 2, 3 or 4 identical colours. - Get items by combining four identical colours. There are also random items. - Combine items to get special combos. - There are positive items, but careful, there also negative ones. - Get as many points as you can by avoiding all the bulbs to light up. - Make combos of 2, 3 or 4 identical colours to switch the bulbs off. - There are positive items, but careful, there are also negative ones.